Home / blog / Blog / What is the most popular car colour in the UK? 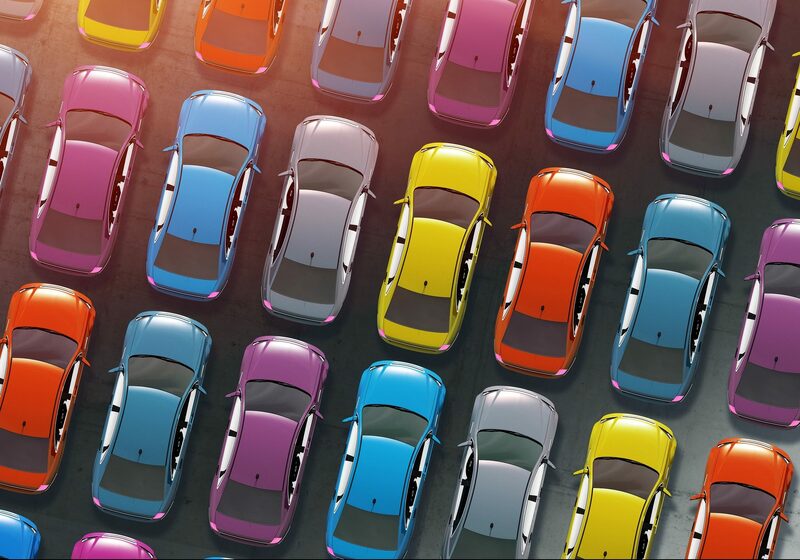 When it comes to buying a new or a second hand car, one of the more exciting aspects is choosing the colour you want. Some buyers may choose the colour of their new car based on their favourite colour, while some go for practicality, and some may want the brightest colour they can find. With that in mind, what is the most popular colour car in the UK? Each year the Society of Motor Manufacturers and Trade produce a survey to see what colour car is the most popular. From the results, Carwow have produced a table on the top ten colour cars bought in the UK, which shows you how many places a colour has moved up or down the list, the number of cars registered to a colour, percentage of the market share, as well as the percentage change from the previous year. In 2015 the most popular colour car purchased in the UK was white, with 564,393 new car registrations being made. This saw white remaining at the top of the list for a third year running. Carwow go onto say that more than one in five new cars bought were requested to be white by the buyer, which equalled more than half a million new cars on the road being white. The colour has come a long way from its 1% share back in 2007, with This is Money saying back in 2005 some manufacturers didn’t even offer the colour as a choice as it was so unpopular. If you are wondering why white is currently the most popular choice, and think perhaps it is down to it being a ‘free colour’, then you’d be mistaken. Most manufacturers now charge a buyer if they want their car to be white, according to This is Money. The top two cars sold in white in 2015 were the Ford Focus and Volkswagen Polo, with 14,103 Focus being sold and 13,701 Polos being sold. This is Money goes onto say how to buy a new car in white can cost an extra £250, estimating through the sale of just the Focus and Polo models £7 million would have been spent on this colour. Following closely behind in second place is the colour black, with a 5.3% rise from 2014. That is more of an increase than the 2.2% white saw from 2014 to 2015, so could black possibly become next year’s favourite colour? Grey cars also saw a rise in 2015, with a 21% increase causing it to be chasing the tail of black and white cars. This could be in part due to the popularity of the colour grey with many of the big German brands, including Audi and Mercedes. The biggest percentage change from 2014 to 2015 was a 31.2% leap that saw green sneaking into seventh most popular on the table, and a 30% increase ensuring mauve made an appearance in the 10th spot on the table. However, when you look at the market share percentage, the top three hold a dominating stand over the rest of the table. White is far ahead with its 21.4% overall share, closely followed by a 19.4% share for the colour black, and 15.6% share. The colour white is also extremely popular on the second hand car market, with both white and black being the most fashionable and popular cars to buy. If you have a car you are wanting to sell that isn’t the right colour for potential buyers when you come to sell it, then you will lose money on your car, according to Paul Yates, managing director of used car portal AA Cars. So remember the next time you buy a new or second hand car, that the colour you choose can play an important role – and could make or lose you money when you come to sell it in the future. Take a look at our guide to buying a used car for some helpful tips and information to help if you’re looking to buy a second hand model. What is your favourite car colour? Comment below or tweet us at @drivelikeagirl.